Small wineries have a multitude of ways to market their wine on the internet. There are trends and fads and plenty of bad advice. Unfortunately small businesses, including most wineries, don't have the time or the expertise to do it well. Vinodiversity has been using the Internet successfully for ten years and the articles below represent some of my experience. Is your winery using the web effectively for marketing? 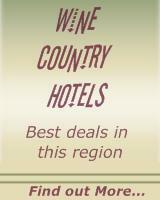 Some wineries are making sales through their websites but I suspect most are making little if any. Your winery can use the Internet and the growing world of social media to increase its sales. It is not especially expensive, nor does it take a long time to learn. You don't have to be a computer programmer to improve your reach. Vinodiversity has been using the web effectively for eight years to market wine and wine related products. This has been done with a zero advertising budget, a modestly priced website, no gimmicky tricks and just a bit of knowledge about how the web works. I have compiled a set of articles about different methods, tools and techniques that have been successful for me to build a successful business, not just a website. I'm sharing this knowledge because I think that nearly everyone in the wine industry - growers, wineries, marketers and consumers all benefit from the great diversity provided by our small winemakers. 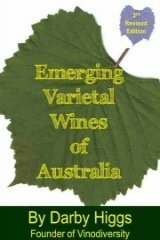 There seems to be about 2500-3000 winemakers/brand/labels in Australia. All but about fifty of them are small in my book. If they are to continue in business they need to make sales and I hope my work will help some of them in a small way. Getting seen in a crowded marketplace is a great challenge. 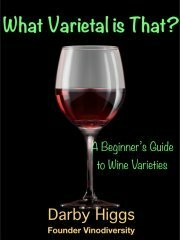 I have recently written an article outlining ways that wineries using alternative varieties can tap into Vinodiversity's audience. These people are wine savvy, and they don't like buying wine from supermarkets! I have outlined seven actions to take some quite simple and none cost a bomb. See this page on how you can share Vinodiversity's audience.